Find all posts from the 2013 Governor’s School for Agriculture here. 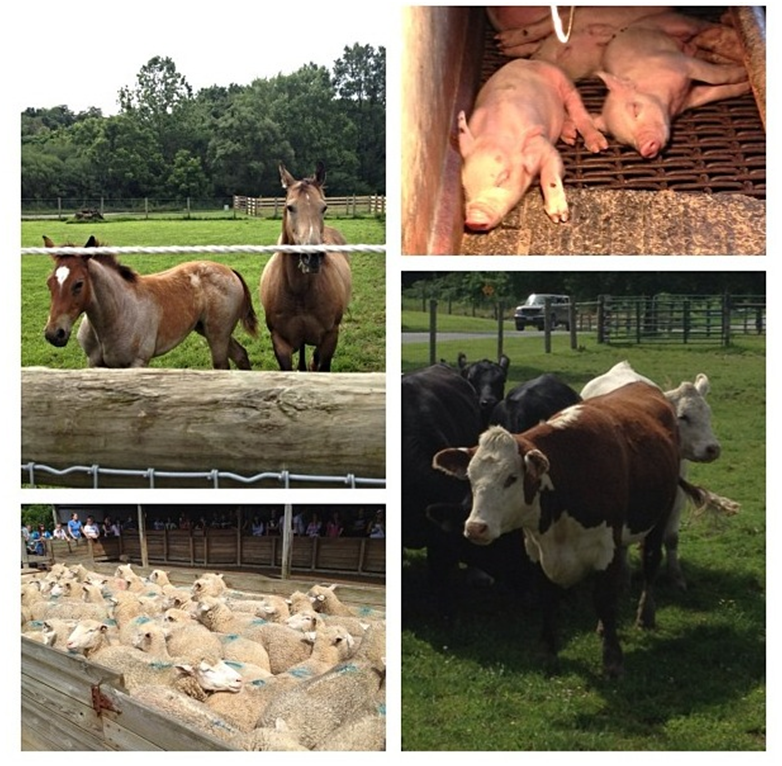 Horses, Pigs, Cows, and Sheep…oh my! After an evening of picking blueberries and raspberries Thursday night, we ventured into the land of the unknown this morning: the barns. As we caravanned from facility to facility, we examined species large and small for all types of production: breeding, meat, wool etc. Starting out at the Smithfield Horse center we meet horses young and old, a welcome experience for avid horsemen and first-timers alike. Next, we ventured into the odiferous world of the Swine center where we watched live piglet births and learned about swine production from beginning to end. From there we ventured into the diverse world of the Beef Production. While at the VT Beef Barn we saw several beef cattle varieties: Angus, Charolais, Hereford, Simmental, and a few cross breeds. 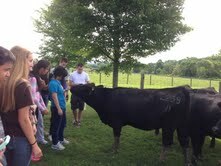 Many students were very excited to pet the friendly Heifers as the approached from afar. Our day concluded with the Copenhagen Sheep Center where we watched sheep herding, saw a llama named Wizard, and got an in depth look into “foot-rot” in sheep. After three days of sitting in classes, students looked forward to getting the chance to get their hands dirty and propagate plants. Learning the biology of plants and all the extensive ways to propagate them made us even more excited to get to planting. 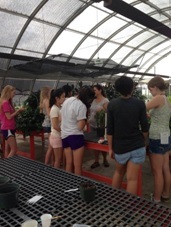 Students broke into different groups based on their research groups and headed off to the University Greenhouse. After taking a short tour of the different parts of the greenhouse, including special rooms for exotic plants needing extra care, the time finally came to start propagating our plants! Marigold, parsley, and basil seeds were planted into a medium consisting of peat, coir, and pine bark and then they were labeled with students’ names so that they can check up on their plants during their stay. Accompanying the activity of planting seeds was a pleasant tour through the University gardens. The gardens were developed around 30 years ago and many of the old features are still there. There are also many renovated features including a garden devoted to plants that sustain themselves, meaning minimal garden work. Otherwise, upkeep for the rest of the gardens falls to university students studying horticulture. Students were also taken through many different parts including water features with koi fish and gold fish. Overall, the garden and greenhouse tour was a much-needed and very enjoyable break from the classroom! 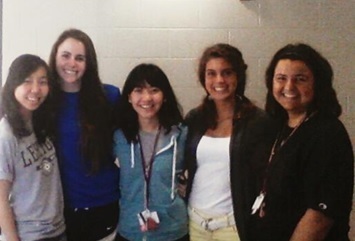 Morale has improved near exponentially here at Tech with the arrival of the orientation students. Said boost in morale has little to do with their presence and far more to do with the subsequent increase in the quality of food at the main dining hall (D2). In addition, our classes have begun to diversify as well. Our new batch of classes, including plant propagation and animal science, has proven to be highly informative and often highly interesting. In plant propagation, we began a riveting discussion on the uses and merits of plant cuttings as a way of multiplying pre-existing populations. 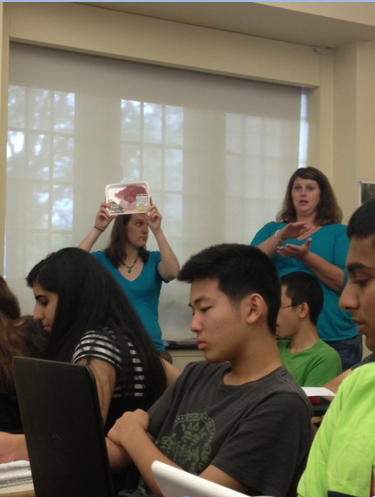 Shortly thereafter, Dr. Pratt taught the class how to “grade” meat and provided hands-on consumer tips on the purchase and consumption of beef. These morning classes were quickly followed an by interesting rumination on problem solving led by GSA Director Dr. Curt Friedel. He provided the results of our KAI evaluations, which helped us determine our personal methods of problem solving. At the conclusion of this lecture we broke off into our research groups to continue work on our global seminar projects. We then returned to our dorms and ultimately D2 for a gourmet dinner complete with key lime pie and crème brulee. We then concluded the night with our choice of a smattering of activities including running, cards, and movie watching. Just ‘Leaf’ it Over There! Ever wonder how to grow a tree? Of course! It’s something we’ve all known since we were little tikes — just put a seed in the ground, water it, make sure good ol’ Mr. Sun gets his shine on, and voilà! A tree will grow right before your eyes. However, our research group was amazed by what Ms. Grossman had to say today, that we could grow plants just by placing part of a leaf in the ground. That’s right, just part of a leaf. Or it could be a stem, bud, or root, because all of these are various options that one could use to propagate a plant (that is, to pretty much clone it from one of its previous parts). 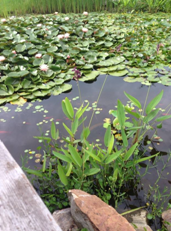 We even got to see a three-year-old plant that VT’s plant scientists propagated- and all from a tiny leaf! Now you know that whenever you mow the lawn, pick leaves of shrubs, or trim a tree, all those parts could eventually become a new plant under the right conditions! This week we have been writing our rough drafts for the research papers and began new classes. Our first class every morning is “Plant Propagation”. So far we have learned about the different methods botanists use to reproduce plants. Our second class of the day is called “Not Your Grandfather’s Farm”. It has covered a variety of topics from hormone use in livestock and its effects to different types of injections. Today we got the chance to try some of the injections ourselves on bananas – intramuscular and subcutaneous. It was certainly a nice break from all the lectures in Smyth Hall! This week has also seen us working in “Problem Solving” class as well as “Communicating in the Scientific World,” led by Dr. Friedel and one of the librarians from Newman. On a very different note, the food at Dietrick has magically improved with the onslaught of newcomers for orientation. Now we can take advantage of some stations that weren’t open before (like meat carving) and enjoy things that mysteriously just taste better. Today some highlights were chocolate cake (coconut was yesterday), a beef roast with bleu cheese crust, and chicken tikka – Yum! But on the flip side, the lines at D2 now stretch out both doors, and with parents having to pay instead of use meal cards, they don’t move quickly either. Through necessity, we have developed the skill of predicting when we should go to meals in order to avoid the throng of orientation kids. It has also become increasingly difficult to find seats conveniently located to the desserts station, but that does have the benefit of getting us to sit with more people we don’t know. Overall, it is shaping up to be an interesting experience at the Governor’s School for Agriculture, and we are eager to see what the next few weeks have in store for us (as long as it’s not another 10 page research paper!). Mondays. We often think of Mondays as the epitome of the week, the end all be all of the weekend; however, this Monday was not the case. As we ventured into Smyth Hall this Monday morning, there was the opportunity for July 8th to go down in history as either a horrible Monday or one worth talking about for weeks afterwards. This Monday was certainly a day to remember. Many of us are avid biology lovers, so we easily absorbed both the plant science and animal science courses we took this morning. We enjoyed them not only because of the enthusiastic teachers, but also for the thrilling subjects we learned about as well. We learned in-depth background knowledge about plant propagation and were introduced to animal husbandry and genetics within the agricultural community. Later this week, we will dive deeper into these subjects and have some hands-on experience in the lab and out in the field. In addition to the academic improvement, the food today was fabulous! Since freshman orientation is starting up, D2, our beloved dining hall, has undergone some drastic changes. For instance, the pasta was served today with a twist of shrimp and mushrooms, instead of the standard marinara and alfredo sauces we’ve been issued previously . There was also a plethora of desserts like cheesecake and banana pudding to enjoy. The most exciting part about the improvement in food, though, is that it will keep on improving because orientation continues through the rest of our stay at the beautiful Virginia Tech campus! Over the first weekend here at GSA, all the students and staff took a trip to the Cascades in a troop of 13-passenger vans. We got an early start at 8 AM, with students laughing and chatting as they piled into the vans. With the radios up and music pumping, the exciting journey up the mountain began! 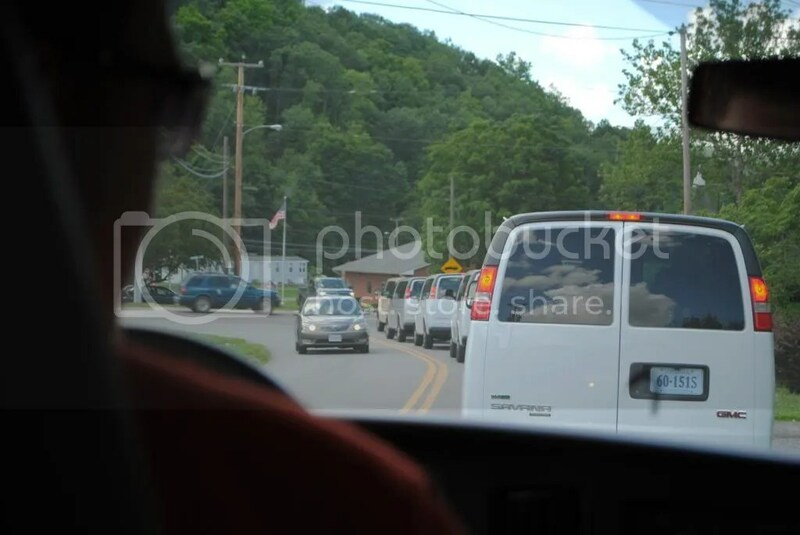 After a brief 30 minute drive through the beautiful mountains surrounding Blacksburg, we arrived at our destination in the small town of Pembroke, VA. Just a short while later, students were clambering out of the vans and disappearing in a choking cloud of insect repellent and spray-on sunscreen in preparation for the long hike ahead. Due to the heavy rains Blacksburg experienced this past week, the trail was rather slippery and very muddy, but thankfully the students made the climb without any injuries or accidents! And after nearly an hour had passed, the students finally made it to the top! 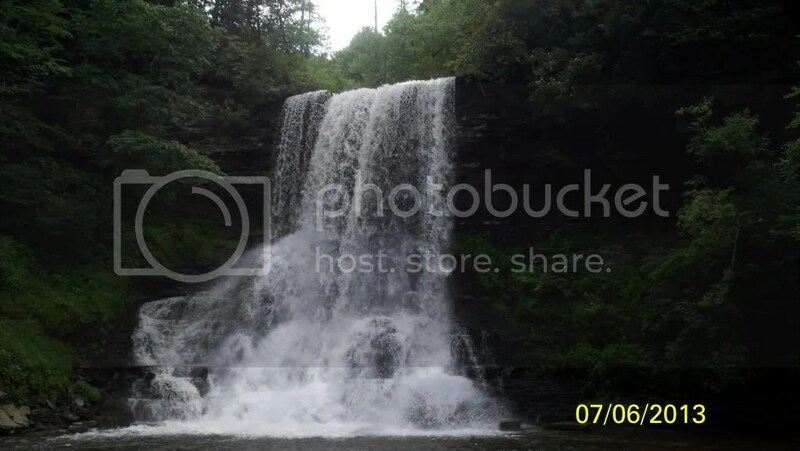 The waterfall at the Cascades plunged over a steep cliff, spraying ice cold mountain water across the landscape – and splashing across the backs of students brave enough to stand underneath it! 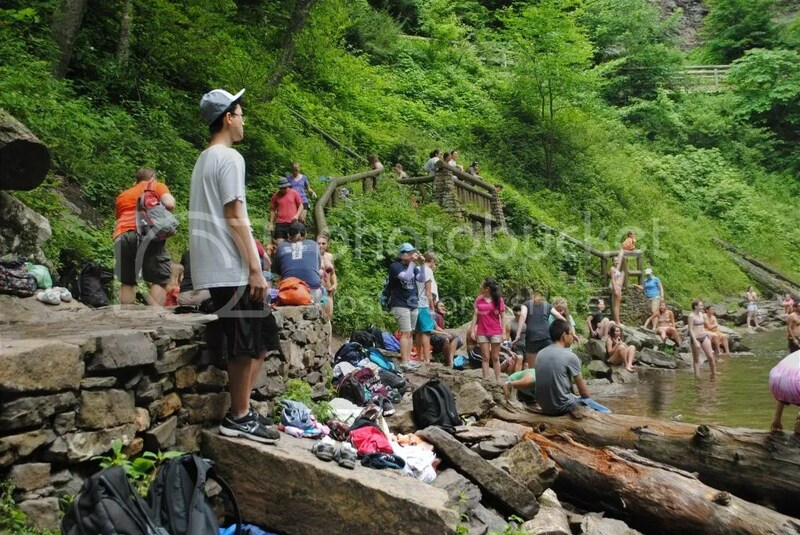 Screaming and shouting with laughter, students took pictures, swam, and sunbathed at the peak of their climb. Too soon after our arrival, it was time to leave and head back for lunch at D2. Many more students than before slept during the return home, and several continued to snooze after grabbing a quick bite to eat! 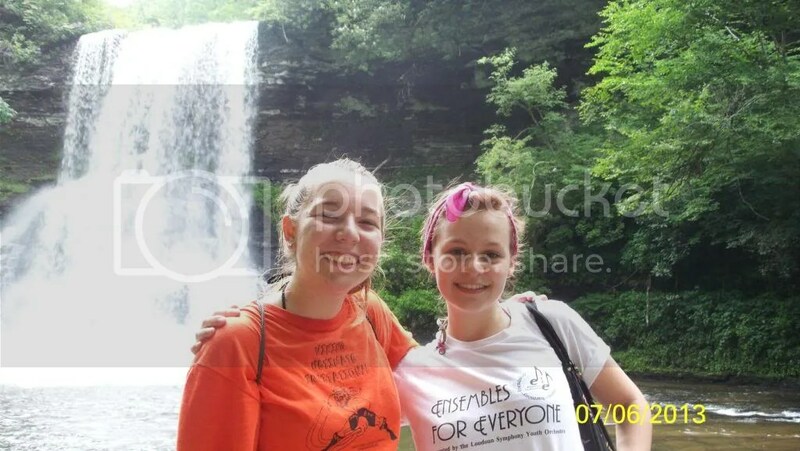 It was certainly a tiring trip, but I think everyone can agree that it was a great way to spend our first Saturday! After relaxing all weekend, the students got geared up – and dressed up – for College Night at Radford University in Radford, VA. Another caravan of GSA vehicles left Virginia Tech in the early evening, and we arrived at Radford with time to spare. Throughout the night, students talked to admissions officers at schools such as Sweet Briar College and Christopher Newport University, and many left with their hands full of college brochures. This was many of the students’ first time wearing “business casual” or “business professional” clothing, and they were all certainly dressed to impress! Students seemed confident and capable when they approached the colleges of their choice to inquire about potential majors and campus life, and their professional dress helped boost this confidence. While at Radford, students also had the chance to interact with their friends from the other governor’s school for Humanities and Performing Arts. On the drive home, several students quizzed their GSL’s (Governor’s School Leaders) about college life, applications, and the big decisions about school they will face in the coming months. Overall, the night was a great success and both students and staff enjoyed the opportunity to get off campus and dress in their best!